Approximate Dimensions: 5-1/8 x 6-3/4 in. Boxed set includes 20 cards (4 designs, 5 of each) and 20 envelopes. 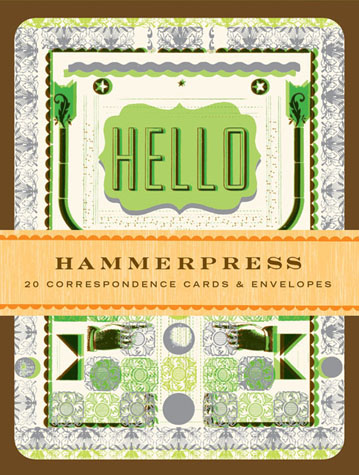 Employing an eclectic mix of materials and techniques, the designers behind Kansas City-based letterpress company Hammerpress incorporate both vintage and modern elements into this stylish line of correspondence cards.